Hey guys it’s Ash and welcome to my top 10 tips for everyone. First I’d like to announce something very exciting. From now on, I will be doing YouTube full time again. I’ve renamed my channel to Ash – Brawl Stars because primarily most of my content will now be about Brawl Stars. Does that mean I’ve given up on Clash Royale? No, I will still try to make Clash Royale videos from time to time, but my main focus will be Brawl Stars. I’ve been playing Brawl Stars for over a year and a half now and I’ve been ranked #1 in the world many times, and I am currently the #1 player in the USA. 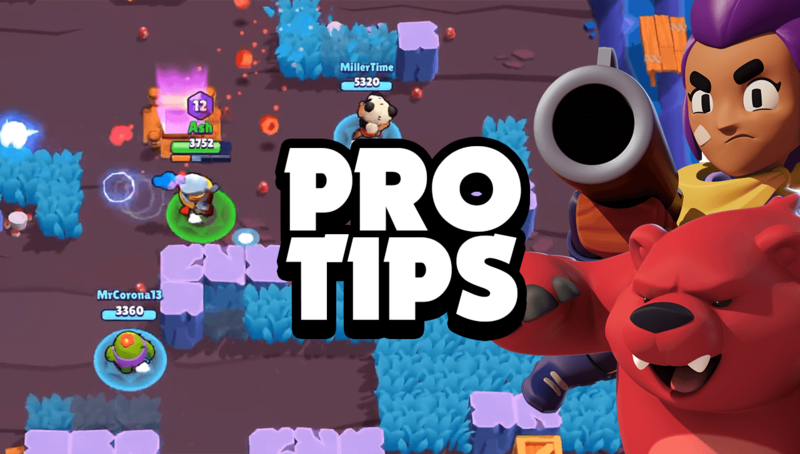 So today, I’d like to start my first Global Brawl Stars video by giving you guys the best tips and tricks for you to not only become a great player but also on the fastest ways to progress in this game. …and push to 500 trophies with each the fastest way? So the question I get asked most frequently is, how do I max all my brawlers and get them to 500 trophies the fastest way? 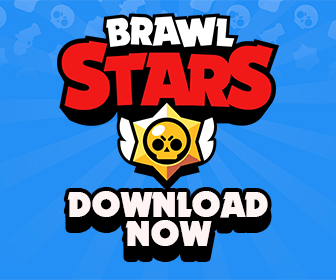 If you are a completely free to play player who can’t spend money, then don’t worry, Brawl Stars is a very free to play game. For games such as Clash Royale and Clash of Clans, it takes over 10 years for a free to play player to max out their account. In Brawl Stars, believe it or not, you can max out your account in just about a year (yes, for free). Not only that, if you have the skills, you don’t even need max brawlers to be the best. Take for example, Relyhh, who used to be #1 and is currently #2 in the world and he’s a free to player player with mostly level 7 and level 8 brawlers, and even a level 4 Leon. In Clash Royale, the level of your cards matter so much if you are to make trophies and move up fast. However, in Brawl Stars, you can push much higher and faster without having to worry about not having maxed brawlers. If you want all your brawlers to max out at rank 20, which is 500 trophies for every brawler, then don’t worry, that is also not very hard to attain. The fastest way to get all your brawler to 500 is to play with your Club or friends in the 3v3 modes such as Gem Grab, Bounty, Brawl Ball, and Heist. How To Pick The Right Club? So the first thing you should probably do is find an active Club to play with. However, you should not join a Club that has most of its players with more trophies than you. You must join a club where you are between rank #40 and #60. This is a very important tip because this will allow you to make trophies faster! The top Clubs are not always the best for you! Well in Brawl Stars, when you are playing with your club and your friends, the matchmaking will mainly look at the best player in your team and give you opponents similar to the level of the highest trophy player in your team. For example, say you are using a Spike at 80 trophies and your teammates are using much higher trophy brawlers, the matchmaking will look mainly look at the highest teammate and not you, so you will be forced to play against tough opponents most of the time. If you keep playing against tougher opponents, then you will not win at a high rate and will move up very slowly. So you must make sure your teammates are also using brawlers close to your brawler’s trophies. In Gem Grab, you need 10 gems and a 15 second countdown with those 10 gems to win the game. However, the main objective of Gem Grab is not to pick up gems to win, it is to create and maintain control of the center of the map where gems spawn. One of the best strategies for winning in Gem Grab is to have one player play the role of the Gem Carrier. The Gem Carrier is the person who controls the middle of the map and is entrusted to safely pick up gems and not die with them. The best brawlers to use as Gem Carriers are usually Jessie, Poco, Penny, Pam, or Bo. The other two brawlers in your team play the roles as left side and right side control. If you are playing the role of left side or right side, then focus on mainly winning that side and not focus on picking up gems. I know it’s important to have gems to win the game, but if you’re using a brawler such as El Primo, then your main focus is to play aggressive on your side without worrying about dying, so you can win control. If your El Primo is carrying a lot of gems, then you won’t be able to play aggressive because if you die you’ll lose your gems. So it’s more important for you to not carry gems if you are playing a side, so you have more freedom to play aggressive without giving up gems. In Bounty, it is a very different mode than Gem Grab. So the strategies for winning Bounty are very different. Gem Grab is more about control and maintaining control. Whereas, Bounty is more about survival. Brawlers such as Nita and Primo are not very good to use in Bounty because they don’t have good range, so you will die a lot with them. In Bounty, you don’t want to die. So the best brawlers to use in Bounty are the usually the brawlers with the best range, such as Brock, Penny, Piper, and Bo. One of the best tips I can give you for Bounty is to take advantage of time and be patient. In Bounty, if you are dying after you get a kill, then you’re not going to win much. To win in Bounty, you must not only get a kill, but you must also be able to escape safely or stay alive after you have obtained that kill. So it is extremely important for you to take your time and recover back to full HP whenever you’re low. In Heist, your objective is to either destroy the enemies Safe or deal more damage to it than they do on your Safe. Similar to Gem Grab, make sure each player on your team focuses on their sides, so the enemy is not able to sneak into your safe. Usually you always want to have a Barley or Dynamike on your team because they provide amazing area control when they are shooting behind walls. A tank such as Bull, Primo, or Darryl is also a really good idea to have on your team because they can also roll right onto the enemy’s Safe with their Supers. Not only that, they have so much HP and power, making them excellent options for Heist. Brawl Ball is very unique mode in the sense that you not only need control, but it is also very important not to die. The biggest mistake most players make in Brawl Ball is they play too aggressive at the start. My best tip for you in Brawl Ball is to not rush at the start. Focus on staying alive, while controlling the center of the map. This is so important in Brawl Ball because if you play too aggressively, you will not only die quickly, but you will also give the enemy lots of hits, which will charge their Super. You want to not only focus on getting your Super first, but you also want to focus on winning control. For beginners, try to always have a El Primo on your team. El Primo is one of the best brawlers to use in Brawl Ball because he can do so much. He has a very powerful Super that allows him to jump forward on enemies or easily score. He is also one of the best ball handlers because he has so much HP, allowing him to take a lot of damage and easily walk to the goal with the ball. Showdown is also a very good mode to get all your brawlers to 500 trophies pretty quickly. It is not as fast as the 3v3 modes, but if you don’t have friends to play with or just want to play alone, then Showdown is the best mode for you. The best tip I can give you for Showdown is to always focus on staying alive as much as possible. This means, you should try to avoid conflict at the start of the game. The reason you don’t want to pick a fight at the start is because this increases the chances of you dying early. Not only that, if you are too focused on trying to kill someone, then you will miss out on the opportunities to get more Powerups and get stronger. Instead, focus on getting Powerups from breaking boxes, while staying away from enemies. Attack whenever someone is trying to get close to you. You don’t want the enemy to get too close to you or push you back because this may get you trapped between other enemies, and you will end up dying. Most times, when you are stuck, it’s a very good idea to hide in the bushes so enemies will not see you, allowing you to sneak up on them. Hiding in bushes also allows you to waste time, which means that you survive longer. The longer you survive, the higher ranking you will be and the more trophies you will get. In Brawl Stars mod ios, Showdown is all about survival by any means necessary! That is all the strategies and advice I have to share with you guys today. Now that I’m doing YouTube full time, expect more amazing daily Brawl Stars mod apk. Thank you so much for watching, and don’t forget to hit that like button and subscribe and I will see you again tomorrow!